The top crane and rigging companies in Virginia are going to be the ones that can accommodate your needs for any type of job while also ensuring that the work will get done on time and for the agreed upon budget. It’s not something that can be overstated, when you hire a subcontractor, the work they do reflects the quality of work you do and you do not want them to reflect your company poorly. Of course you want to maximize the profit you will make on a job but is it really worth it if there are delays and other issues that come up? Of course not, which is the reason builders throughout VA go with a more experienced agency to handle these challenges. Hiring certified riggers or renting cranes from a company is not an easy decision. You have several factors to take into consideration and you want to be as positive as possible that the work will get done safely and correctly. The best way to be positive of your decision is to choose a team that has a proven track record in getting this type of work done and has worked with the same builders for decades. That kind of service is hard to come by but when you find it, it will eliminate a lot of headache and difficulties you face on your next project. 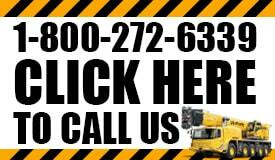 VACR offers elite services and is among the best crane and rigging companies in all of Virginia. If you are looking for a new subcontractor to not only deliver outstanding work on your current project but ones in the future as well, then give us a call and we will show you why we are the team you can rely on. As we begin our discussion we will also provide you with an on-site consultation for free so that you know exactly what to expect. Why is safety first? You can claim to make safety a priority but that’s not good enough. When mistakes happen on a construction site they cause serious problems. That can include injuries, breakdowns in equipment and broken or damaged materials. These matters can cause delays that will cost you thousands of dollars. That’s why you need to be confident that the team you hire focuses on being safe. Why is experience important? How many jobs did you have last year that were easy? Probably very few as every construction project presents an unusual challenge. That’s why you want to hire someone who has experience and can handle any challenge and still deliver high-quality work each and every time. What else can we do for you? More than likely you are going to need more that rental services. 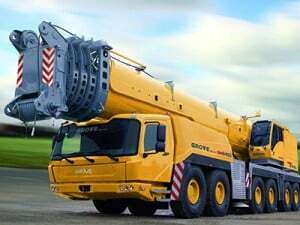 That’s why you should look for other options for crane and rigging companies including equipment repair, storage options and more to ensure that you have the support you need to get the job done. Our goal is to make sure that the project is completed correctly. However, that’s easier said than done and we have proven time and time again that we can deliver the work at the highest level of quality. That’s something that you can rely on for years like many other builders throughout the state have as well.